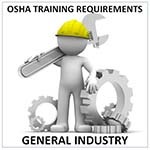 Please call 775-857-4958 for help with safety, regulatory compliance and OSHA course registration. These classes are presented by the TMCC Safety Center. To learn about safety training customized to meet your business needs, contact Scott Alquist at salquist@tmcc.edu.